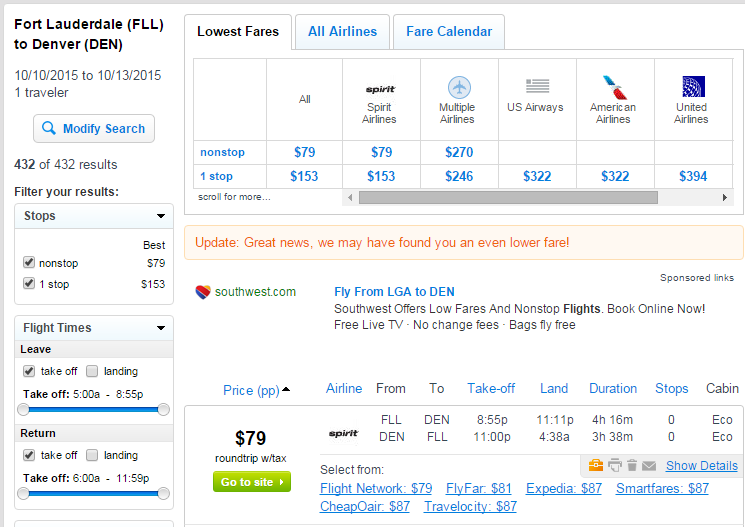 Hit the slopes in Colorado, or relax on a beach in Florida. 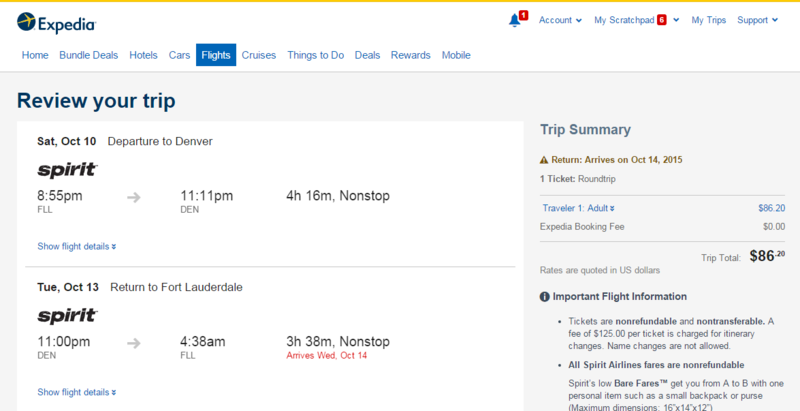 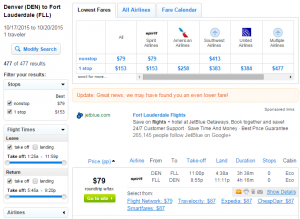 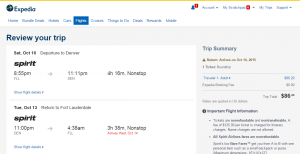 For $87 roundtrip, including tax, fly Spirit Airlines nonstop between Denver and Fort Lauderdale. 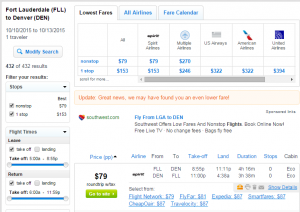 Fliers can save more than $150 when traveling October-January. 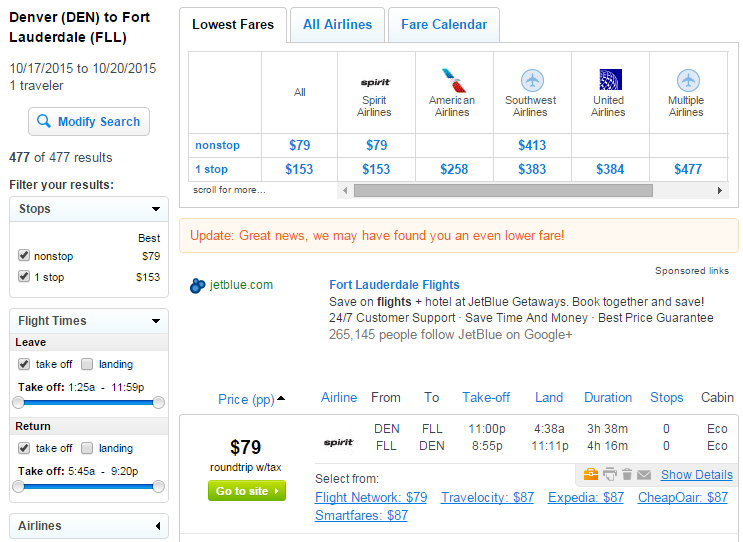 More than $150 compared with typical fares from this route.